The Ethnographic Museum in Hungary is one of the oldest museums in the city. Even though it separated from the National Museum in the year 1947, it has done a great job in maintaining its distinct identity. 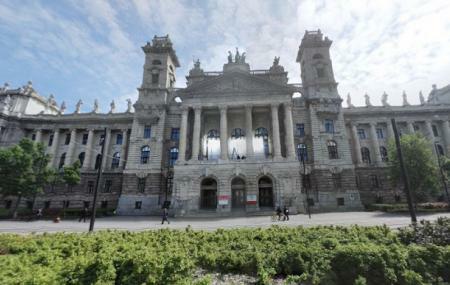 It moved to its building in Kossuth Square in the same year and has displayed various interesting objects ever since. There are objects from Romania and Slovakia here which have added the Hungarian glory even more. The place mainly gives you an insight into the day to day Hungarian life before World War II and has various items that were used back then. You will find ornaments, boats, costumes and furniture of that time. Given tickets are for permanent exhibition (for adults). One or two close relatives of at least two visitors under the age of 18: 500HUF/ person. The museum will be closed from 29th to 30th April due to technical reason. Open on National Holiday, Easter Sunday, Easter Monday, 1st May, Whit Sunday, Whit Monday, St. Stephen’s Day, National holiday, 1st November. How popular is Ethnographic Museum? People normally club together Palatinus Strandfurdo and Budapest History Museum while planning their visit to Ethnographic Museum. An impressive building which gives shelter to a wide array of exhibitions. A worthy addition to Budapest's excellent museistic offer, and of course a place you should include in your visit. To cap It all, it is a rather cheap place. By all means, go!!! A fantastic place with lots of interesting exhibitions set within the most beautiful surroundings. If they are close for two years then why there is still open in google maps. Absolutely unbelievable thing. Please don’t make the mistake like many has done so they are close till 2020. But this place worth visiting if it’s open. Staffs were helpful and collection was very large from the cultural points of view. It used to take more then one hour to visit this place and management was good. I don’t know they are close for renovations or I heard that they are going to Change this place into Supreme Court of hungary. The shoe exhibition was really interesting, and you could learn a lot. A must for the shoe-lover. The museum is now closed, and is scheduled to be reopened in the summer of 2019 in City Park. What a venue for a meal. Food was fantastic to match the decor. You've got to try this place before it is turned into the Hungarian supreme Court again.